Even better still for 2018 - you'll want to stay longer! Our first season is nearly at an end, and it’s been fun & rewarding thanks largely to our wonderful guests. Take a look at some of the lovely 5 star reviews left by our guests. Starting a new business is always going to be hard work, as many of our guests know we run a rather more mundane software company alongside our boutique glamping, so it took tractor-sized bucket loads of energy to get the Up sticks site built and running this year. From the build start in February we were welcoming guests in May. \on top of our very unique glamping tents, with a loft sleeping deck and tree trunk pillars, it is the facilities outside which took as much effort. Walkways, lights, lovely bathrooms, all adds to the charm and the initial investment of time, and the 5 star feedback, but we just about managed it. As with any business, It was all a bit of a gamble and the most nerve racking was welcoming ‘strangers’ to our home. So many in hospitality share dreadful stories of nightmare guests, and constant interruptions. So it is with enormous pleasure that we can say our faith in human kind has been repaid. People are very generous and appreciative of the work we’ve put in. In return we hope to have given them some special memories and warm welcome. Adding to the fun – A zip wire!!! Many people have asked if we are ‘expanding’ our glamping accommodation for next year, and whilst it’s tempting, we’ve decided to focus on making Up Sticks the best it can be. To keep up the 5 star standards we want to add some fun with a zip wire, and somewhere to watch the sun go down over the hills on a lookout bar. A chill-out zone with hammocks to read a book ‘away from the rest of of the ‘tribe’. The pantry will expand it’s range of treats and basics, with a few ‘home made ready meals’ to purchase – useful for late arrivals and few more local beers and ciders. Whilst our bike range will not be extensive, we are planning a few more so you can explore the lanes and hills in the saddle. A few other surprises are still in discussion….Communal bath (AKA hot-tub), silent disco shed, lorry Dorm. so we’ll keep you posted. Our little menagerie of animals have been a great hit, and we are looking to expand with ducks, more goats and adding to the hens with some additional rare breeds. Our orienteering challenge got kids exploring and despite Steve’s rather retro music references and vague clues many did manage to crack it! 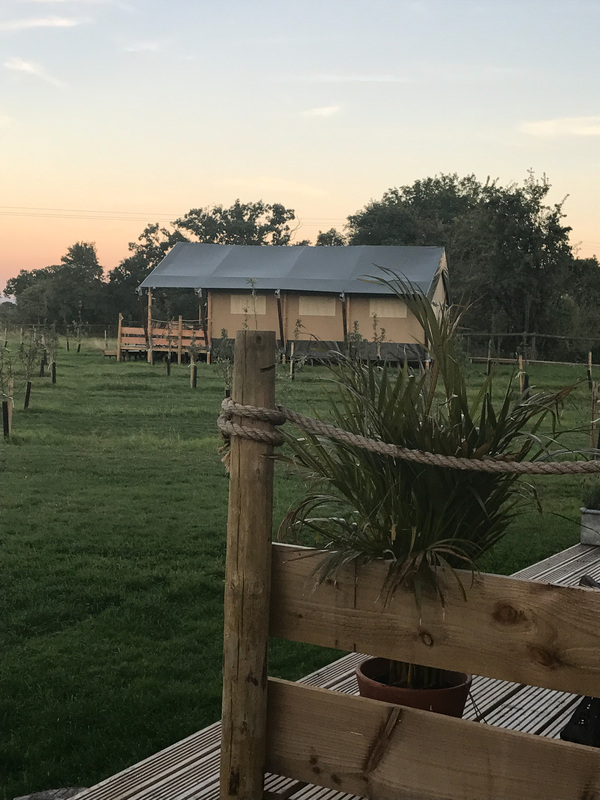 Come and experience what boutique glamping feels like, we believe special should come as standard, so we’ve aiming at nothing less than 5 stars. We’ve released the 2018 availability now, so bag your preferred dates, and . We’ve decided to stick with short breaks and weekends throughout the season, although with everything planned I think you might want to stay a bit longer.